The Food Bank is a nonprofit organization that has provided food for people at risk of hunger in 34 counties for over 35 years. 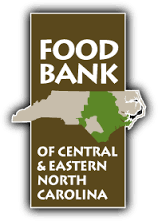 The Food Bank serves a network of more than 800 partner agencies such as soup kitchens, food pantries, shelters, and programs for children and adults through distribution centers in Durham, Greenville, New Bern, Raleigh, the Sandhills (Southern Pines) and Wilmington. NC Volleyball Academy coaches, players and families participate each year in a canned food drive. In 2015, NC Volleyball Academy collected over 400 pounds of canned goods and household items that were donated to the Food Bank. Academy will be holding a canned food drive to benefit the Food Bank of NC. There will be bins at the door so please bring in a canned good item every night that you come in for practices. We will be accepting donations for the next 4 weeks. Drive will end on March 10th! !